Experience a Boundary Waters canoe trip like never before. Traversing the BWCA Wilderness with traditional birch bark canoes, using traditional knowledge and skills more akin to the fur trade era than modern wilderness tripping, is an experience of a lifetime! Whether you are an experienced wilderness traveler, a bushcrafter, or a handcraft enthusiast these trips tie it all together in one unforgettable experience! To the seasoned Bushcrafter a walk in the woods is like a walk down the aisles of the local superstore. Just about everything the bushcrafter needs to survive in the wilds can be found in the wilds, one just needs to know what they are looking for, and how to use what is available. That is the essence of Bushcraft. During our extended Bushcraft adventures, you will eat, sleep, and breathe the wilderness while learning the basics of how to live in the bush comfortably through the use of available natural materials and simple tools. Our wilderness based bushcraft courses and trips are a great way to reconnect with the land and your wild side! The toboggans and snowshoes that replace canoes and portage packs each winter allow us to travel the BWCA's frozen lakes, rivers, and portages with an uncommon level of comfort and grace in Wilderness tripping. There are few experiences in life that compare with the sense of solitude, peace, self reliance, and comfort that comes to those who travel the BWCA in winter with snowshoes and toboggans by day, while firing up our warm and comfy hot tents by night. With camping conditions this good, there is no excuse for staying inside this winter! Have you ever wondered how people lived and survived in the wilderness 200, 300, or more years ago? I have. in fact that seemingly simple question is what lead me down the path to learning traditional wilderness living skills and bushcraft and ultimately changed my life. "traditional wilderness living and bushcraft are more than just a hobby, They are My way of life." 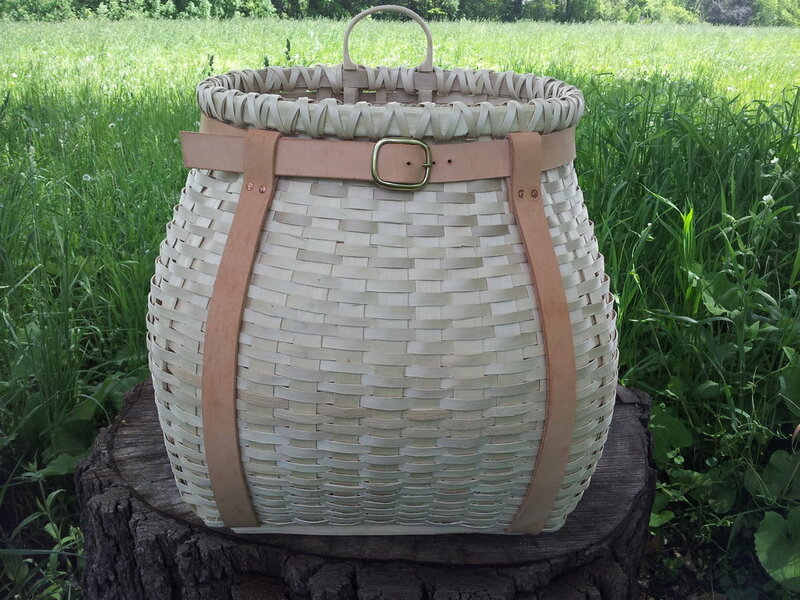 These wilderness crafts, and the manner in which they were made in the depths of the wilderness for centuries is the focus of our hands on craft work and instruction. Rather than being the "hard way" of doing things, we have found the nomadic hunters tool kit of ax and cooked knife in skilled hands to be very efficient, in fact we would argue it is the "easy way" of doing things. Hand craft is an important part of what we do, we incorporate it into our wilderness courses, as well as, teaching it at our island homestead. It is my belief that whether we happen to be a lone wilderness trapper, a miner, a corporate ceo, a home maker, or LNT Wilderness camper who imports all of our backcountry needs into the Wilderness, we all "Live off the land", for the land is ultimately the source of all our physical needs. Recognizing this fundamental truth, has inspired me to seek out ways to not just "live off the land", but to "Live with the land". 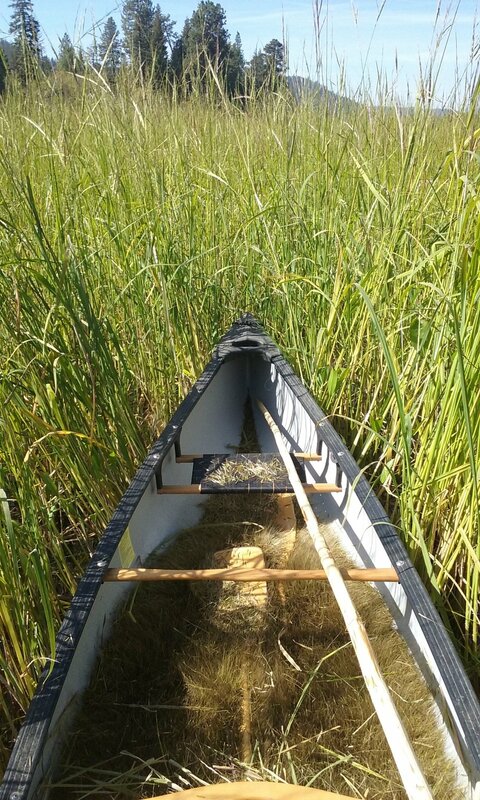 One of the beautiful things about nature is that nature tends to overproduce what it needs to stay healthy and self rejuvenating, thus if we only harvest the surplus of wild rice, deer, or walleye for example we can do so on an indefinite basis with no net loss/degradation to the ecosystem in the long term. Living with the land in many cases requires direct participation in nature to acquire ones needs, because in most cases the food that we eat and the material goods we depend upon were not produced in conjunction with the land from this natural surplus, but rather taken from it at the expense of other important social and ecological values like wildlife, bio-diversity, clean air and water etc. Living with the land requires that we sustain our own lives and recreational activities without degrading the land and it's community of life. We work hard to ensure that our bushcraft, hand craft, and wilderness activities do not degrade the land, and that our hands on participation in nature is done sustainably and in an ecologically sound manner. Our homestead is located on a 7 mile long island at the edge of the 1.1 million acre Boundary Waters Canoe Area Wilderness (BWCA). Getting here takes a little extra effort, but the rewards are worth it!